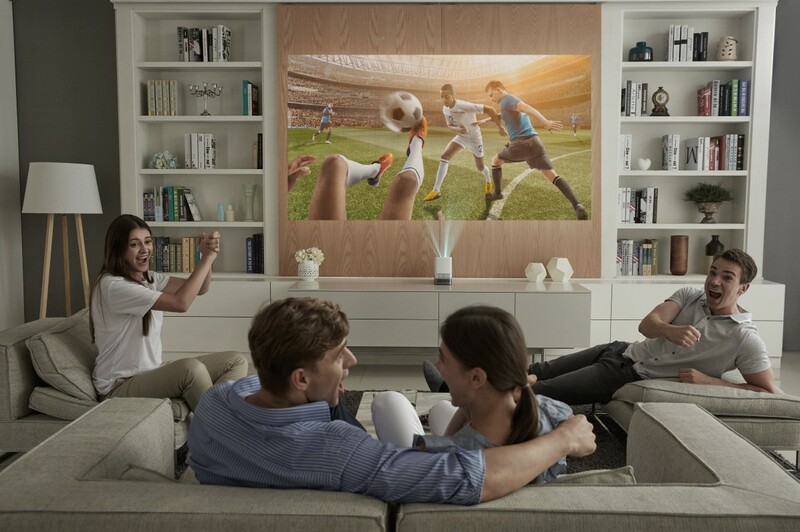 The LG ProBeam UST offers a Full HD (1080p) image in a ultra-short throw design for an immersive home cinema experience without the hassles associated with most home projectors. Ultra Short-Throw projectors are convenient as they do not require professional installation, a jumble of unsightly cables or expansive space between the projector and the screen, the ProBeam UST only requiring 12cm to display a 100-inch image. And the ProBeam UST is intuitive to use because it does not require its own stand – simply place it on any existing furniture and it becomes movie night. And never again cast a shadow on the screen when getting up for more popcorn. Consumers who have doubts about the effectiveness of projectors in brightly lit rooms can put them to rest because the LG ProBeam UST generates up to 1,500 ANSI lumen of brightness, 1.5 times brighter than LG’s previous UST projector. And the ProBeam UST’s 150,000:1 contrast ratio ensures that every TV show or movie will look crisp and accurate. What’s more, the light source in the ProBeam UST is incredibly durable, estimated to last up to 20,000 hours. 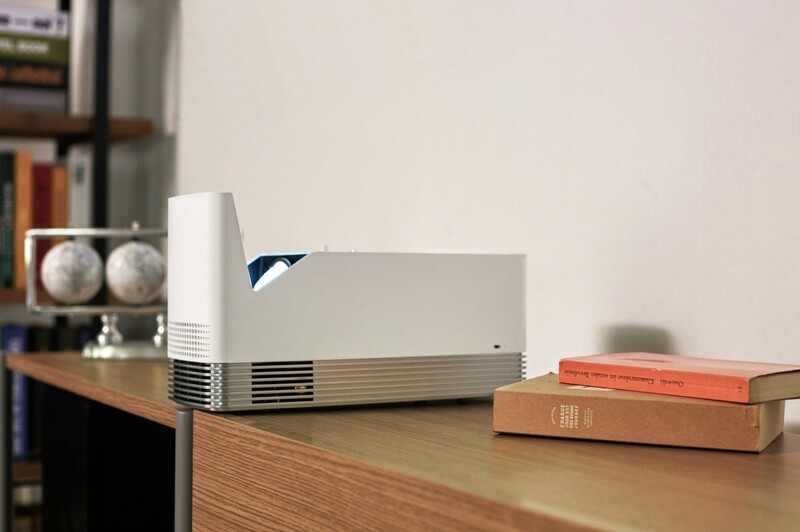 Its innovative I-shaped laser engine gives it a slim and sleek profile that looks great in any room. The LG ProBeam UST offers a host of options to connect it to a number of wireless speakers or headphones. Its four corner keystone feature corrects both horizontal and vertical distortion of the picture providing maximum flexibility to position the ProBeam UST in ways that other projectors could only dream of. And this premium device comes with LG’s award-winning webOS Smart TV platform, giving viewers access to the ever-growing number of streaming services. The LG MiniBeam is an incredibly easy to use portable projector also set to debut at IFA 2017. 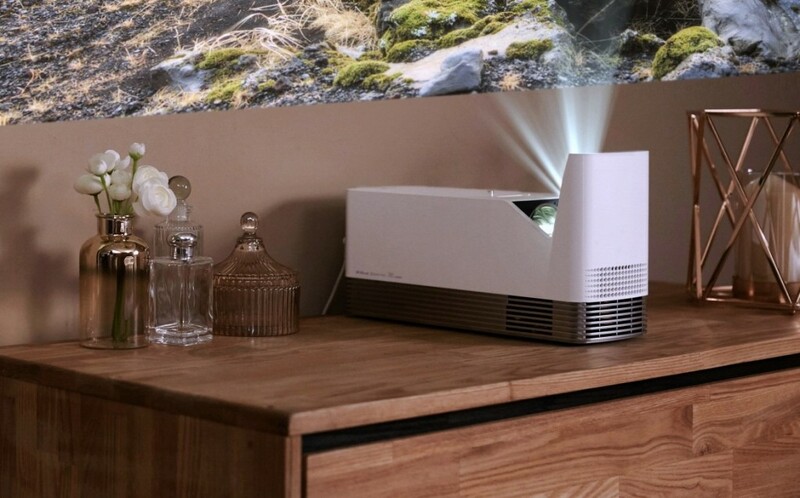 An HD projector with a built-in battery that lasts up to four hours, the MiniBeam packs plenty of cord-free power to play back two full-length movies while camping, sitting on the patio or relaxing in a hotel room. 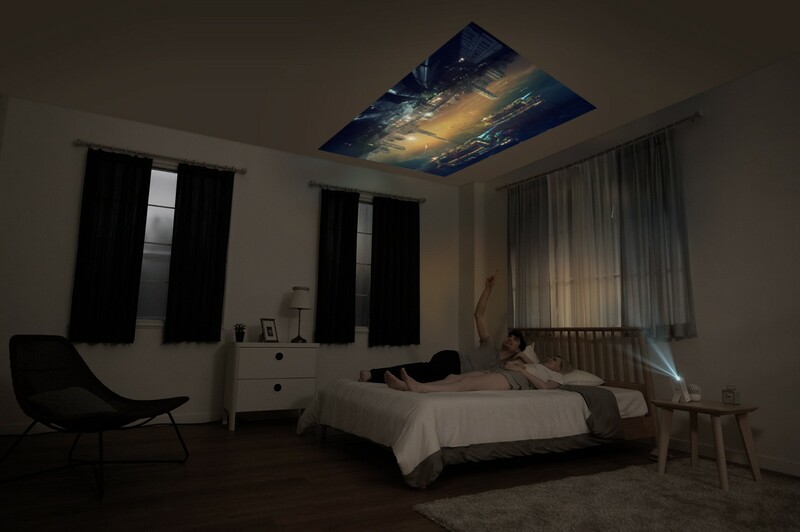 One of its most impressive features, Multi-Angle Projection, allows the device to be tilted up to 70 degrees to display an image high on a wall or even on the ceiling without the use of a tripod. 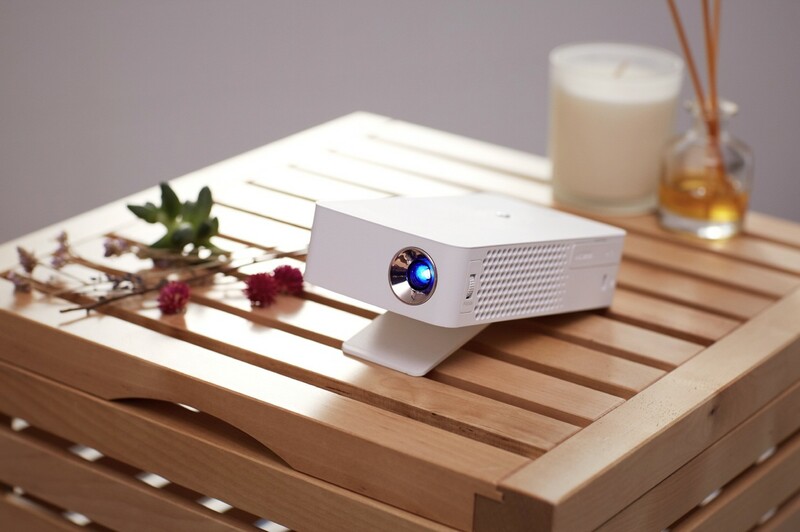 The LG MiniBeam projector offers users unprecedented freedom in a portable package. USB Type-C compatibility gives the MiniBeam the ability to connect and mirror other devices such as laptops and smartphone and charge its internal 9000mAh battery with a single cable. 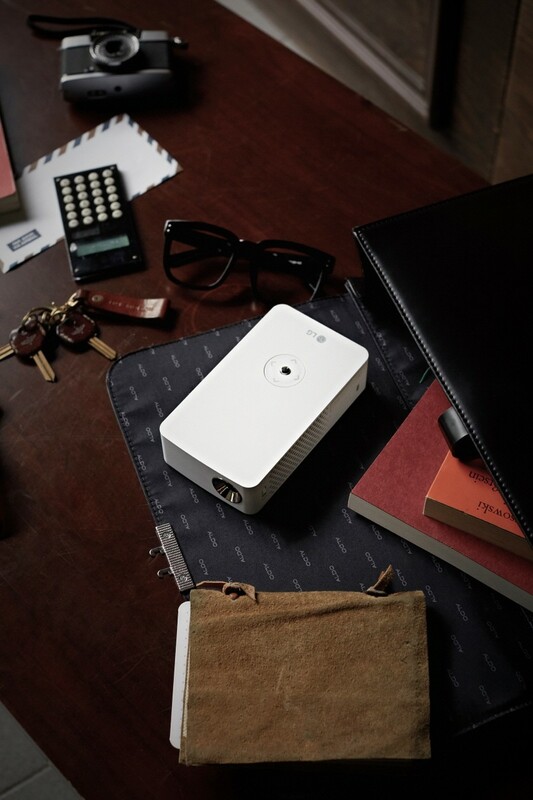 The MiniBeam can send an audio signal to any other Bluetooth-enabled device – wireless speaker, smartphone even a car audio system. Visitors to the LG’s booth in Hall 18 of Messe Berlin from September 1-6 will have a chance to experience LG’s newest lineup of projectors firsthand. 1 Based on PMA Research data.